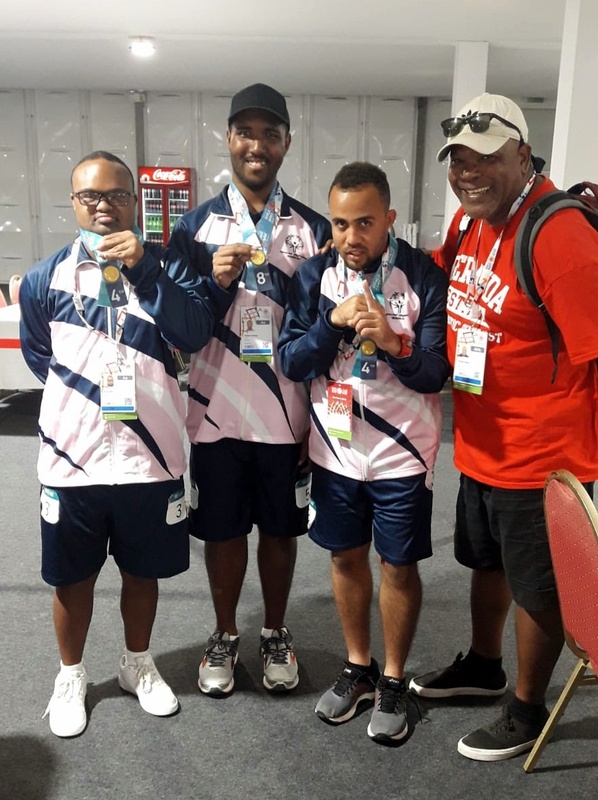 Bermuda’s athletes were in action yet again competing in the Special Olympics in Dubai. Kris Trott finished 4th competing in the 200m Dash, he would clock 28.72 during his Division race. Kirk Dill finished 4th in the 200m Dash in his Division clocking a time of 32.41. With a time of 31.52 saw Damon Emery finish 8th in his 200m Dash Division race. Tiannai Lowe would finish 4th in Singles Bowling with 216 pins. With a total 385 pins saw Carlton Thompson finish 3rd in his Singles Bowling Division. Wayne Smith would finish 5th with 180 pins in his Singles Bowling Division. Micah Lambert would take to the court to compete in the Singles Level 5 Tennis Tournament and he would go down to his opponent from Great Britain in straight sets 6-4, 6-1.